Bubble tester on the gas bottles. This boat has very recently benefited from many of new upgrades, new multi-fuel fire, New cooker, New Fridge, New water heater, new marina charger, new mattress, new thetford cassette and seat, new galvanic isolator, new batteries, new shore power and a full engine service by PB marine. As you come in through the front you have a large open living space with various shelves and storage plus new fire. Then there is the decent sized galley with new full size cooker, fridge and plenty of storage. 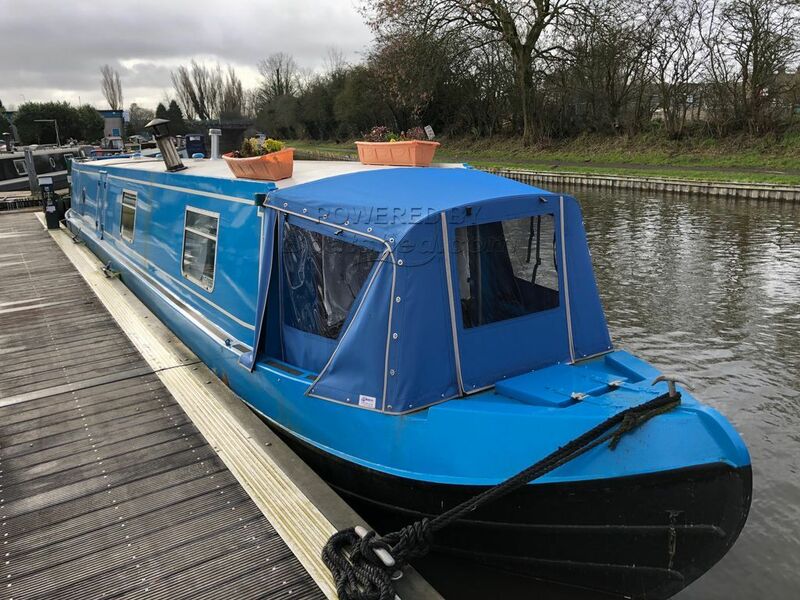 As you move up the boat you have the duck hatch on the starboard side and the bathroom on the port side with a bath, shower, basin and thetford cassette toilet. Next is the bedroom with wardrobe and under bed storage and finally out into the stern storage area and engine access. She has a BSC until January 2020 and the mooring on the marina is transferable to the new owner. It can be leisure or residential. This Narrowboat 50ft Trad Stern has been personally photographed and viewed by Paul of Boatshed Lancashire. Click here for contact details.